The final race of the season is here. The MENCS will crown their 2018 Champion Sunday at Homestead-Miami Speedway. This season has gone by quickly. The racing has been the best I have seen in a long time. I cannot remember a season that had so many final lap passes for the win. I am sure the Ford EcoBoost 400 at Homestead will be just as exciting for race fans. The race can be seen Sunday at 2:30pm ET on NBC. * Thank you for following my picks this season. I hope you were able to find success in your leagues. I will be working with Darren (The owner of the Driver Group Game) to make it better in 2019. If you have any suggestions feel free to pass me a message on my Twitter, Facebook Page or in the Forum. Joey Logano (7): When the No. 22 team unloaded their car Friday I was scared about this pick. Logano went out a posted the 20th fastest laps. The team came in and talked to the No. 2 and No. 12 teams and went back out. Logano came out Saturday and completely dominted the practices. Logano posted the fastest lap, fastest 5-lpa, 10-lap and 15-lap speeds in BOTH practices. This race often comes down to a pit stop at the end of the race. The No. 22 has the best pit crew in the sport. The turned the two fastest pit stops in NASCAR history at Texas. I will roll the dice with Logano Sunday. 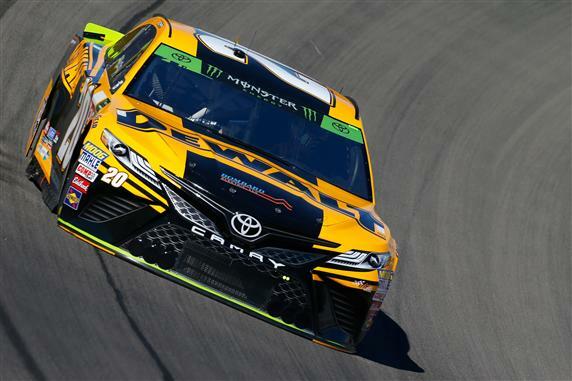 Eric Jones (1): The Joe Gibbs Racing cars have been lacking speed in the playoffs but they brought very fast cars to the track this week. Jones qualified 7th and posted the 4th fastest speed with the 5th-best 10-lap average speed in practice. The No. 20 teams ranks 7th in average finishing position on the 1.5-mile tracks this season. I expect Jones to finish in the top 10 Sunday. Aric Almirola (1): Almirola continues to have a lot of speed. He qualified 10th and posted the 5th fastest lap with the 6th-best 10-lap average speed in final practice. He said after practice, “Just because I am eliminated does not mean we are not going to try a win. A win will give us a lot of momentum for the 2019 season.” Almirola has been one of the most consistent drivers in the playoffs. I started the season with the No. 10 car in my lineup at Daytona and I will end the season with the No. 10 car in my lineup at Homestead. Michael McDowell (7): McDowell is a good sleeper pick Sunday. He has been hit or miss on the 1.5-mile tracks this season but Homestead ranks as his 5th best track. McDowell only has one finish in the top 10 at a 1.5-mile track and it happened at Homestead in 2016. McDowell qualified 24th and he posted the 24th fastest lap with the 23rd-best 10-lap average speed in final practice. He said he likes his car so I will give him a chance Sunday.